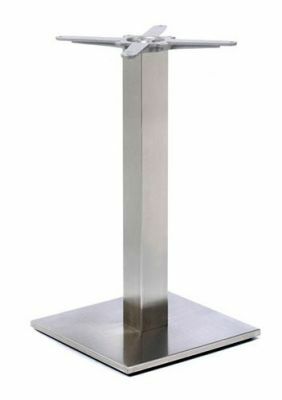 Stainless steel table base with a square base and column, available in a choice of two heights and held in stock for a fast and free delivery. Overall slick look, compatible with table tops up to 800mm round or 700mm square. Stainless steel café table bases with a square column. These café table bases have a cast iron for extra stability and a stainless steel cover.